York Minster holds the largest single collection of medieval stained glass in the country with 128 windows, the oldest dating back to the 12th century. Currently 60% of the cathedral’s windows have no protective glazing, leaving them exposed to the elements and subject to corrosion and decay, meaning the irreplaceable glass could be lost for future generations. 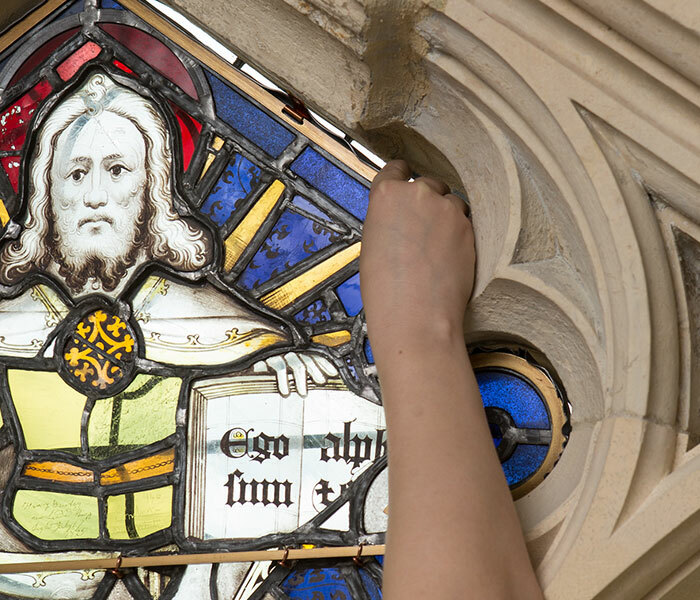 To stop the decay, the cathedral has announced a 20-year partnership with York Glaziers Trust and an innovative fundraising campaign led by the York Minster Fund, supported by a £1m grant from the Heritage Lottery Fund. The initiative, which it is anticipated will cost £11m to complete, will see state-of-the-art, environmental protective glazing extended to all of the Minster’s 128 mostly medieval windows as part of a long-term strategy to buy time for much needed conservation work. The cathedral has teamed up with the York Minster Fund and the Heritage Lottery Fund for an innovative fundraising campaign to support the work. This involves a National Lottery grant of up to £1m from the Heritage Lottery Fund to match every pound raised by the public and York Minster Fund, which will be used to establish an endowment fund to help pay for the £11m project. This means that for as little as £1, you can help us to protect our medieval masterpieces for future generations. If you’d like to support the campaign, you can donate online below or see our Get Involved section for other ways you can support our work.